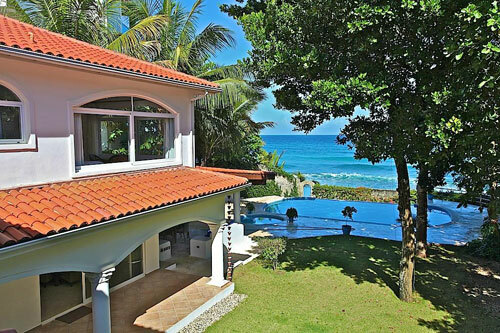 Gorgeous Luxury Beach front Villa inside gated community. 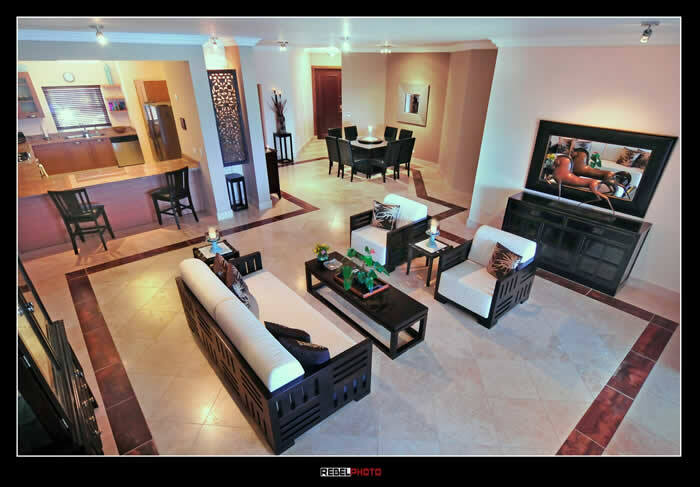 Luxurious and sophisticated beach front residence in an exclusive, gated community between Sosua and Cabarete. 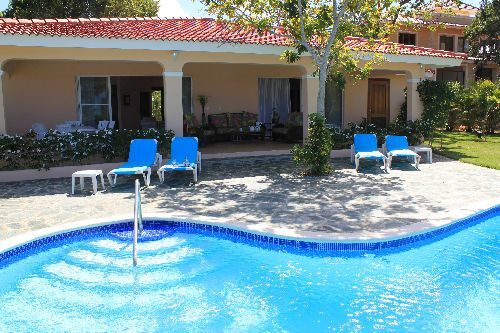 Five bedrooms with central air conditioning and en suite bathrooms, with four bedrooms located on the second floor and one bedroom on the first floor. 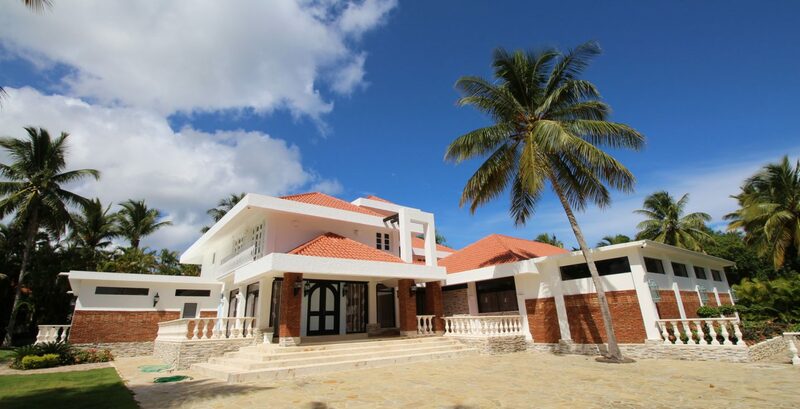 The villa is located on the exquisite northern coast of the Dominican Republic. Among many other amenities the villa boasts absolute privacy, breathtaking ocean views from every bedroom, a private beach steps away from the garden, an eternity pool and Jacuzzi. 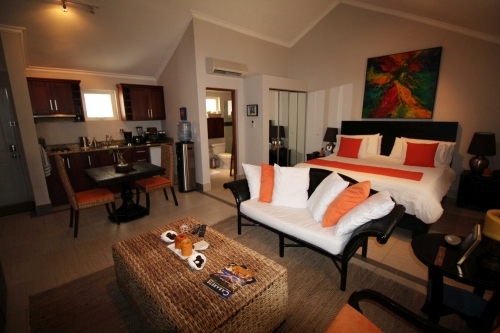 All the suites have a king size bed, a private bathroom, mahogany walk-in closets and beautiful ocean views. Up to ten people can comfortably sleep in the house. All the bedroom bathrooms have showers as well as hydro massaging bathtubs and designer hardware. A beautifully crafted mahogany dining room table and a kitchen with top of the range appliances, including a one-touch cappuccino and coffee maker by Miele, a microwave oven, conventional oven, stove top, wine cooler, dishwasher, and a Subzero refrigerator. All flatware and cookware is included. 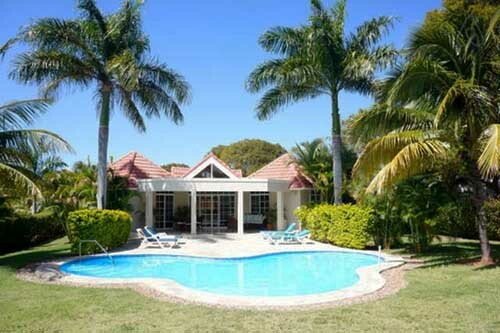 Superb luxury villa in second line beach for vacation rentals. Built recently, the property enjoys luxurious qualities and an elegant distribution; on the main floor you find an entrance hall, a living room with separate movie room, a fully fitted kitchen, a laundry room, and 1 en-suite guest bedrooms, and office.Moving upstairs, an enormous, 2nd level master suite features a spa bathroom with tempered glass walk in shower with rain fall shower heads and jacuzzi, two further bedrooms with ensuite bathrooms and walk-in closets are located on this level. The second story landing features yet an additional outdoor deck used for a private reading nook or morning coffee retreat.The generous pool is large enough for laps. Caribbean sanitariums and lush ferns frame views from the pool and terrace in grounds extending to more than half an acre.